how would you make the best possible case, as a Christian, for supporting Donald Trump? 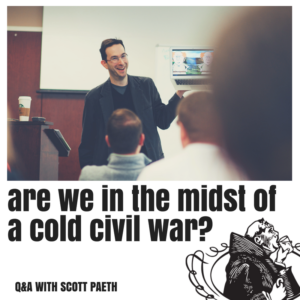 Scott explains under what circumstances it is preferable to support Trump, discusses how an ethicist look at questions about truth, goodness, justice in our divided religious and political landscape, and why political norms are important. Tripp shares some of the reasons some people on the extreme Left gave for voting for Trump, and Scott explains why he thinks they are problematic. Plus, Scott and Tripp make a case for continued investment and engagement in the democratic process.